We discovered this skink while walking on the lake-encircling path through the rainforest at Lake Eacham. A couple ahead of us had seen it, but lost interest because it wasn't a snake as they had initially thought. I however was quite interested in this pretty skink, and when I later identified it I learned that it has a very small range in the tropical rainforest of northern Queensland. 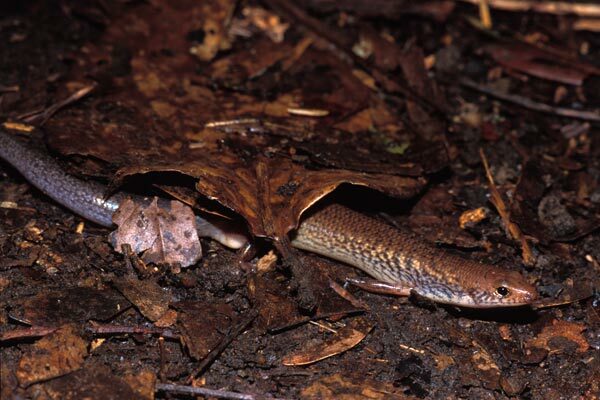 This skink was formerly included in the genus Sphenomorphus.